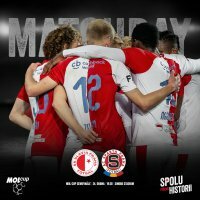 Just 3 days after extra-time victory against Sevilla in Europa League Slavia played 25th round of FORTUNA:LIGA in Pøíbram. After early opener, the red-whites couldn´t overcome home defence for a long time. Hušbauer´s header after 65 minutes became decisive. Another victory just 3 days after Sevilla home game. Six changes in starting 11 in compare to Sevilla. Olayinka opens the score just 3 minutes into the game. Hušbauer scores unusually with a header on 65th minute. After the UEFA Europa League game against Sevilla on Thursday, Slavia made six changes in the starting line-up with only Koláø, Kúdela, Ngadeu and Škoda remaining. With Viktoria Plzeò losing to Teplice on Friday, Slavia could increase their advantage on top of the league to 9 points in case of victory. And the red-whites couldn’t start better! 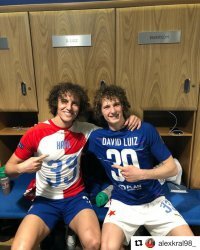 Just 3 minutes into the game Alex Baluta got the ball on the wing, passed it to Peter Olayinka in the centre and Nigerian forward fired it through goalkeeper Koèí. Slavia thus took early 1-0 lead. The red-whites set the pace of the game for most of the opening half. On 7th minute Milan Škoda headed the ball wide, after 25 minutes Baluta got space on the right wing and fired the ball just a few centimetres next to the right post. 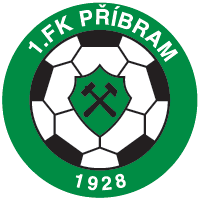 Pøíbram got into their only chance after 28 minutes, but long effort by Nový was blockedby goalkeeper Koláø. The hosts however set the pace in the beginning of the second half. On 58th minute Ngadeu deflected long cross and his header hit the post behind Koláø. But Slavia managed to double their lead after 65 minutes. Král found Zmrhal on the left wing, he sent a decent cross into the box and Josef Hušbauer headed it in. The home team could almost immediately score his first goal too when VAR confirmed penalty against Slavia after Král’s handplay inside of the box, but Roman Kvìt fired the ball over the crossbar. 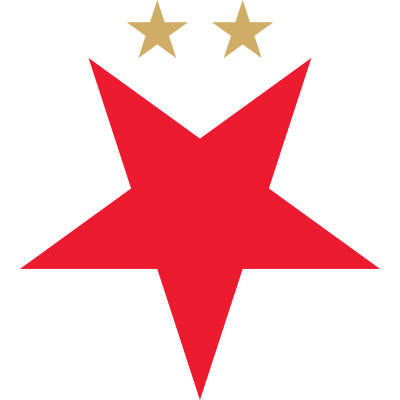 Well defending Slavia than did not allow Pøíbram any other chance and eventually won the game 2-0. The red-whites are now on top of the league 9 points ahead of Viktoria Plzeò.